1. All parking passes will be allocated based upon the Cougar Pride Priority Point System. The minimum donation does not guarantee parking in a particular lot. 2. In the event a parking lot becomes unavailable for use, Houston Athletics will move you to the best available alternative parking option until the situation is resolved. 3. Only Houston Football season ticket holders receive parking passes. 4. 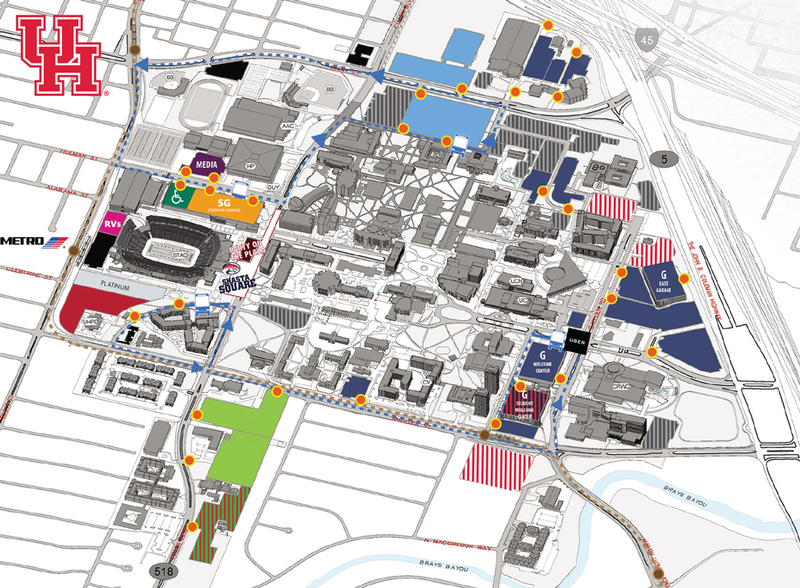 2019 Houston Football parking may be subject to change. Cougar Pride members must be Houston Football Season Ticket Holders to receive one (1) complimentary parking pass based upon their giving level. Eligibility for additional parking pass purchases begins at the All-Conference club giving level ($500+). Additional parking pass purchases are accessible only to Cougar Pride members in any lot that is available at or below their giving level. *ADDITIONAL PARKING PASS PURCHASES ARE NOT AVAILABLE FOR THE PLATINUM LOT.